One industry that utilizes single phase motors is construction, which uses them to power essential building equipment such as electric power tools and portable lighting. Single phase electrical power works much like a three phase electric power, in which the voltages of the power supply can alternate between three different circuit conductors, except with the single it is on power supply providing the voltage. Therefore 3 phase motors are able to self-start and produce a rotating magnetic field by itself, whereas single phase motors require the use of an additional power supply in order to start and produce the magnetic field. 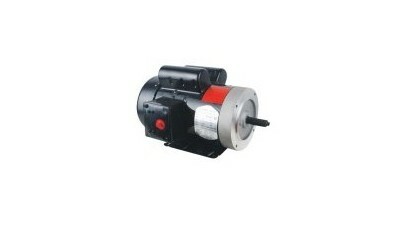 Three phase motors are more commonly found in industrial manufacturing applications; however, single phase motors are also utilized in a wide range of applications and industries including: residential, for use in household appliances such as dishwashers, washing machines, blenders, dryers and more; commercial, for use in equipment and parts such as fans, swimming pool pumps and air conditioners; industrial, in small workshops used to power smaller-horsepower (HP), lighter-duty machine tools such as gear motors; and aerospace, for use in smaller power, motion control applications. Since single phase motors are incapable of producing a rotating magnetic field on their own, they require an external power supply in order to produce power and effectively convert electrical energy into mechanical energy. A common external power supply used to start single phase motors is an assembly of a combination of either a capacitor and an auxiliary winding, which is also known as a start switch and actually is a seconding winding in the motor itself. Another combination could be that of a capacitor, an auxiliary stating winding and a centrifugal switch. 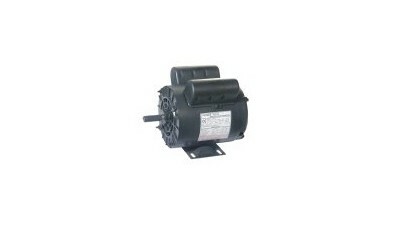 Through the external power supply, an AC current is applied to the single phase motor. When the AC current is applied, both the start winding and the run winding function to produce magnetic fields. Of the two windings, the start winding has a much stronger current and as a result, a stronger magnetic field is created which causes the motor to begin rotation. It is only when the motor reaches the point of about 80% of its rated speed that the centrifugal switch is activated and disconnects the start winding from the motor. Once the start winding is disconnected, the motor is able to main a strong enough rotating magnetic field that it is able to operate on its own without the external power supply. Single Phase Motors Single phase motors are a type of electric motor that operates on single phase electrical power, which is a power source in which all of the voltages of the power supply work in unison as a single unit, functioning to distribute alternating current (AC) power.